Note: I was not compensated in any way for this post. I found a planner that I loved enough to buy and I wanted to tell you about it. 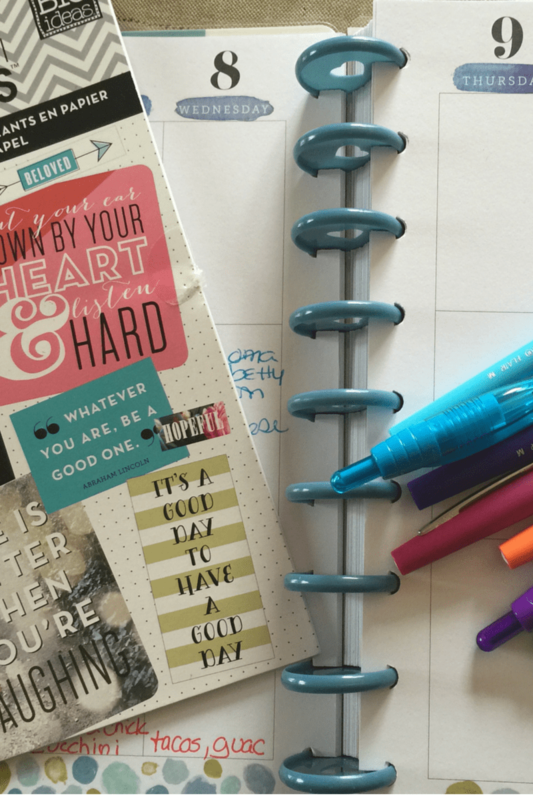 Do you have a planner addiction like me? I am constantly in search of the perfect planner. The one that I love, love to use and look at, the one that keeps me organized. I thought I had found the perfect one when Martha Stewart and Staples came out with the ARC, but I was never able to find pages that worked for me. 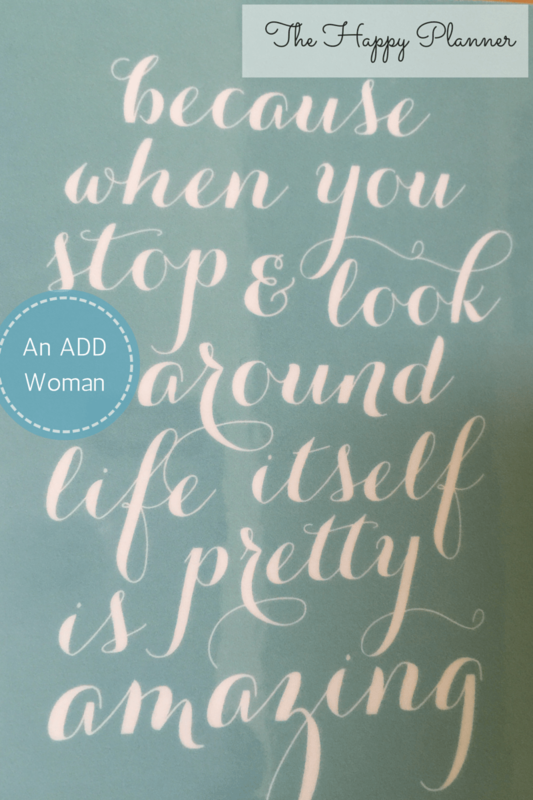 About a week ago, I got into one of those ADHD fueled obsessions – you know what I mean – and I went in search of the perfect planner. Again. After hours and hours of looking, I found one I liked and ordered it. The one I ordered – just last week – Good Things Are Going to Happen – is already sold out. I happen to think that the other ones available are cute too. And by the way, the site said 7 – 10 days shipping, but it was way quicker than that. A pleasant surprise! 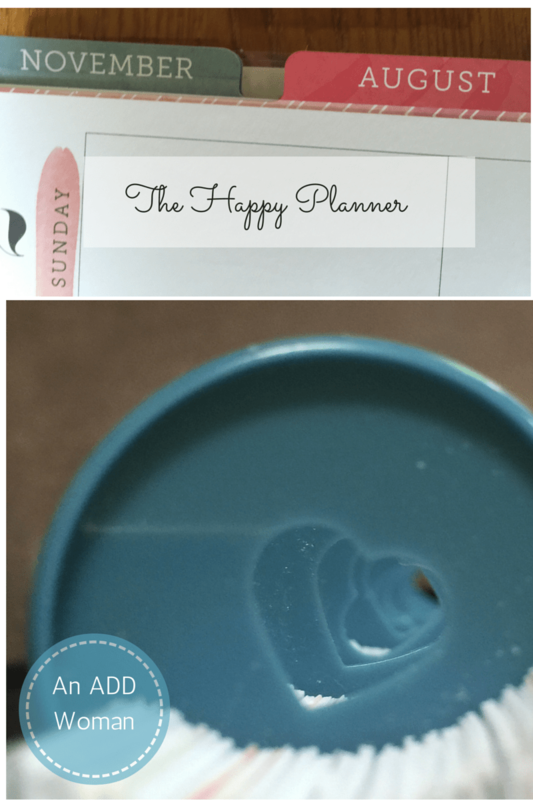 The planner that I am talking about is The Happy Planner from Me and My Big Ideas. Isn’t it pretty? It’s an 18 month calendar, starting with July 2015 and running until December 2016. The fact that this obsession started right around the end of June made it that much more attractive. I like the fact that it is a disc bound system. My other planner used discs too and I really like them more than rings or spiral bound. It’s easy to add or remove things. And look how cute they are! I have to say that played into my decision as well. Turquoise! And hearts! I also like the tabs, pictured above the discs. Tabs are always a must, and cute colored ones – even better! The planner’s size means that there’s lots of room to write and I’ve got space for extra things like a to do list or a shopping list. The size (7.75″x9.75″) is a little large and because it’s an 18 month planner, it’s thicker too. Of course, with the discs I could easily remove as much as I wanted to make it thinner, but it’s still bigger than my other planner. The problem was solved when I realized that I rarely carry my planner with me, so the bigger size doesn’t matter. As An ADD Woman, I respond well to visual things like color and design. All of the pages are colorful and pretty, with inspirational pages here and there. I also like the fact that Me and My Big Ideas sells things to go with your planner. 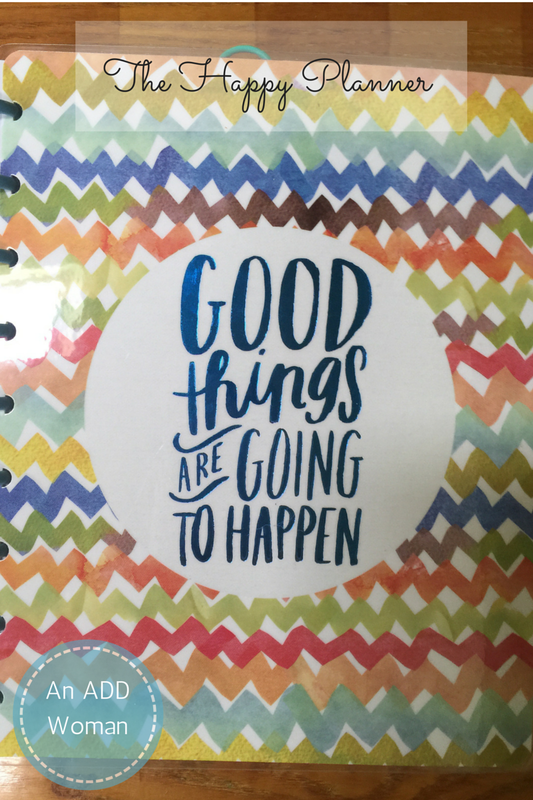 I bought those cute inspirational stickers when I ordered my planner. I love sticking them here and there on different pages of my planner. My one criticism? I would love to have a clear plastic bookmark to add to my planner to keep my place! Right now I am using a giant turquoise paper clip! Be sure to check out Me and My Big Ideas. You may find something that you love! And don’t forget to Pin or share this if you find it useful!